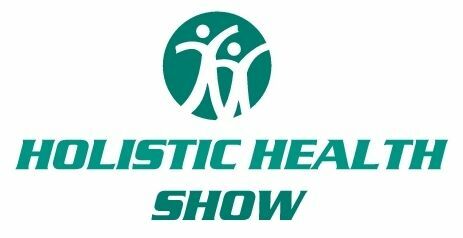 "Alexa, open Holistic Health Show"
Dr. Carl O. Helvie, R.N., M.S., M.P.H. DR.P.H. Dr Carl O. Helvie was diagnosed with lung cancer and given 6 months to live by his primary care physician and specialist 41 years ago. Refusing chemotherapy and surgery he elected instead to use a holistic alternative approach. He is often considered a pioneer in the field of Holistic Medicine and Health. He has continued this approach and now at age 81 he has no chronic illnesses and no prescribed medications. To put this in context research shows that 89% of all people over age 65 have chronic illnesses and prescribed medications and the average for those at age 75 is 3 chronic illnesses and 5 prescribed medications. The goal of the host is to assist others to achieve similar results in their lives so they can enjoy their elder years free of chronic illnesses and the accompanying pain, expenses, and inconveniences experienced. Dr Carl O. Helvie is a registered nurse with a masters in public health nursing focusing on wellness (U of California), a second masters degree in public health and wellness (Johns Hopkins U) a doctorate in public health and wellness. (Johns Hopkins U). and post doctoral study in the Divinity school at Duke University. He has 60 years experience as a nurse practitioner, educator, author, and researcher and during that time has helped thousands of patients improve their health and taught around 4,000 graduate and undergraduate nursing students. Most recently, in 2002 he taught at the University of Applied Sciences in Frankfurt, Germany and served as a nursing consultant to Russia. He has published 8 books (the latest being Healthy Holistic Aging: A Blueprint for Success; and You Can Beat Lung Cancer: Using Alternative/Integrative Interventions), over 55 articles and presented over 55 research papers around the United States and Europe, and received grants up to $800,000. He was recognized in all major references books including Who’s Who; Who’s Who in Virginia, Outstanding Educator in America; Men of Achievement; American Men and Women in Science and a listing on Wikipedia. In 1999 he was awarded the Distinguished Career in Public Health Award by the American Public Health Association. 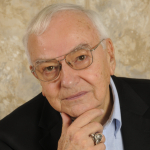 He has lectured and given community, national and international presentations since 1961 to such groups as the Optimist club; American Business Women; The American Public Health Assn; Sigma Theta Tau International, . The International Family Nursing Conference, and the Virginia Library Association. In 2007 he was interviewed on over 45 radio show about his book Healthy Holistic Aging in the United States including Alaska and Hawaii, and in Canada and over 125 radio and television programs for his Lung Cancer book. In 1961, I completed a graduate program in public health nursing at the University of California and researched and wrote a thesis that was my first publishing effort. Additional articles were published in refereed journals in 1968. In 1969 I completed a second masters degree and doctoral degree at Johns Hopkins University, School of Public Health and completed a second thesis as part of this program. Publication of this thesis Factors Predictive of Adolescent Behavior was followed by articles in the Journal of School Health, Pediatric News, Public Health Reports, Research Related to Children, and the Proceedings of the American Nurses Association Research Conference. My first book was published in 1975. In 1979, I developed a theory for nursing in the community that was published in two issues of the Canadian Journal of Public Health. The theory was used in several additional publications and in 1995 it was applied to alternative health and published as a Theory of Alternative Health in Alternative Health Practitioner. Over the next few years, I wrote extensively for Alternative Health Practitioner including an article titled Alternative Treatment for Lung Cancer and Irregular Heart Beat: Two Case Studies with Dr. Charles Thomas Cayce in 1997, and the Mind-Body Connection in the Encyclopedia of Alternative Health Practice in 1999. In 1998, I published Advanced Practice Nursing in the Community with Sage Publishing Co. that applied my theory to a community and is being used in 10 countries and in 1999, Homelessness in the United States, Europe, and Russia with Greenwood Publishing Co. (Wilfred Kunstmann, Co Author). Selected other articles and book chapters I published included Hysteria in a School Setting, Efficacy of Primary Care in a Nursing Center, Nursing the Homeless-A Vulnerable Population, Homecare in the United States (in German); and The Homeless, Health Promotion, and Nursing Centers. I have published 6 books, and over 110 articles and research papers. One book Community Health Nursing: Theory and Process was identified by the American J of Nursing (June, 1985) as one of the books used by the top schools in the United States. As a result I was selected nationally by the American J of Nursing to select recipients for the American J of Nursing Book of the Year Award in Community Health Nursing. My 7th book Healthy Holistic Aging: A Blueprint for Success will be published in February, 2007 and I am working on my 8th Healthy Holistic Aging: Overcoming Roadblocks. These two books are my first attempts to write for the public. I entered nursing in 1950 after I graduated from high school. In 1954 I passed my registered nurse certification and worked as a staff nurse in Rochester, New York and later as a staff nurse and then a head nurse at Bellevue Hospital in New York City. During this time I also attended the University of Rochester, and New York University in the evening and obtained my B.S. degree in Nursing from New York University in 1958. In both institutions, I provided nursing care to medical and surgical patients. In 1958 I moved to San Francisco where I initially worked as a staff nurse at the Veterans Hospital; and later as a public health nurse at the Oakland health Department and the San Francisco Health Department. At that time males were rare in public health nursing and I was the first male in public health nursing in California. These experiences involved providing nursing care and education to individuals, families, and groups on preventing illnesses and promoting health and wellness. I worked with all age groups from newborn babies to the elderly in their homes, with children in the well child centers, with school age children in schools, and with the adult population in industry. In 1961 I was offered a scholarship to attend the graduate program in public health nursing at the U. of California. The emphasis of this program was on preventing illnesses and promoting health and wellness using a holistic approach with individuals, families, communities and organizations. My advisor, Ann Hill, now deceased, was one of the most inspiring individuals I have ever met. She was extremely knowledgeable and very caring and always had time to listen to and try to solve everyone’s problems. She was known and loved throughout California. She also had a remarkable way of working with students. When I had conferences with her she made me feel that she saw me performing at a much higher level than I saw myself performing. Consequently, I worked very hard to come up closer to the level she saw me performing. Over time, I no longer needed that motivation and learning became exciting for the first time in my life. After completing my master’s degree I was offered a position on faculty at the University of California. Males in public health nursing were still rare and I was the first male teaching public health nursing in the United States. I taught public health nursing and later chaired the undergraduate program in public health nursing. My first publishing was accomplished during this time. Classes focused on preventing diseases and promoting wellness in individuals, groups, communities and organizations with less emphasis on treating illnesses. In 1965 faculty were expected to have doctorates at the more established Universities such as the U. of California if they wished to progress in academia so I entered the masters and doctoral programs at Johns Hopkins University, School of Public Health in Baltimore, Maryland. Over the next four years I learned additional public health and mental health concepts and theories and carried out original research on predicting adolescent behavior. Like my previous education there was a major emphasis on preventing mental and physical diseases and promoting wellness with individuals, families, communities and organizations and less emphasis on sickness. In 1966 I obtained my second masters and in 1969 I obtained my doctoral degree. My advisor at Johns Hopkins was another inspirational leader in my education. Dr. Paul Lemkau, an internationally renown psychiatrist who is now deceased, was known as the Father of Mental Health in Public Health because of his writing and research. Despite his reputation as an international leader he was always available to students and was also a very caring individual with a wonderful family. Because I was single without family in Maryland I was often invited to celebrate holidays and other occasions with his family if I were in town. After obtaining my doctorate I taught community mental health to graduate nursing students at Duke University in North Carolina. During this time I broadened my interested in holistic practice and alternative health through the work of Edgar Cayce. I also strengthened my spiritual practices by participating in a Search for God group and attended selected courses in the divinity school at Duke. .
In1971 I became a Professor of Nursing at Old Dominion University in Virginia. At that time there were very few nurses with doctorates in the United States so I received job offers almost daily. However, I remained in this position for almost 30 years because of the opportunity to help develop new programs and teach a wide range of courses. Over the years I taught graduate and undergraduate public health nursing courses, an elective on homelessness internationally, concepts of nursing, long term patient care; therapeutic touch (studied at New York University); stress and stress management; meditation as a stress reduction technique and others. All classes integrated a holistic perspective when possible. I also worked with students in their clinical experiences in public health nursing; long term care, and preparation for hospital based nursing as a registered nurse. During these years I also served in a variety of administrative positions such as Chair of the nursing program, Coordinator for the third or forth year of the undergraduate nursing program, Graduate Program Director, and Director of the Old Dominion University Nursing Center funded by one of my grants. . I also lectured on stress and stress management, homelessness, wellness and other topics for the public, wrote articles and books, served on most departmental committees and many University committees, obtained grants and gave research papers around the United States and Europe. In addition, I served on several local, state and national committees in leadership positions. I broadened my alternative health experience by functioning as Associate Editor of Alternative Health Practitioner for several years and also by participating in the development of the Encyclopedia of Alternative Health Practitioners. One of the highlights of my career was my work with the homeless during these years. I was a member of two boards that served the homeless population, implemented clinical experiences for students with the homeless and provided direct nursing care with local homeless populations. I was also funded for and administered an $800,000 grant to provide primary health care for a local homeless and low-income population in a Nursing Center and advocated for them in the community. I visited homeless programs through central Europe and met several practitioners and educators working with the homeless. These experiences led to my book titled Homelessness in the United States, Europe, and Russia. I also was active with the Homeless Caucus of the American Public Health Association and served as Chair for a few years among several other leadership positions. I also chaired or served as a member of several public health nursing section committees of this organization. Because of my teaching, research, service, writing, and national involvement I was awarded the Distinguished Career in Public Health Award by my peer group in the American Public Health Association in 1999. During several of my summer vacations from the University I served as a volunteer camp nurse for the Edgar Cayce children’s camp in Western Virginia. During these experiences I expanded my knowledge and practice in the use of the Edgar Cayce holistic alternative treatments both with clients and in my own life. Since retirement I have continued in leadership positions with the homeless populations and organizations and with nursing and public health organizations. I have also continued writing and lecturing for students and the public and in 2003 was invited to teach public health nursing at the University of Applied Sciences in Frankfurt, Germany. My continued commitment to being of service to others is an important part of my holistic approach to healthy aging and the results demonstrated in my life show the value of holism.